Home > Bulk Items - Save! > Buy Bulk & SAVE! 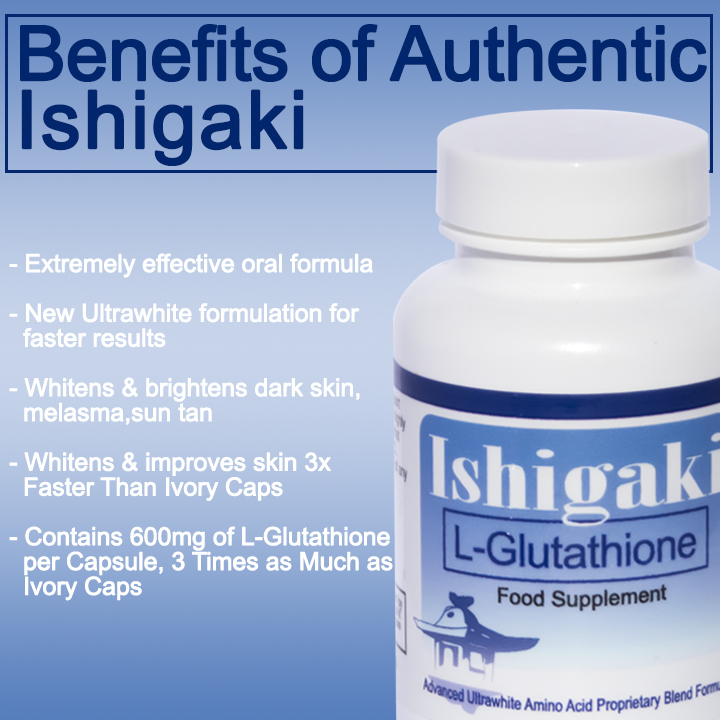 5 Bottles Authentic Ishigaki L-Glutathione 600mg Per Serving Ultra-Whitening Formula - Save Over 50%! 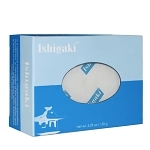 Buy Bulk & SAVE! 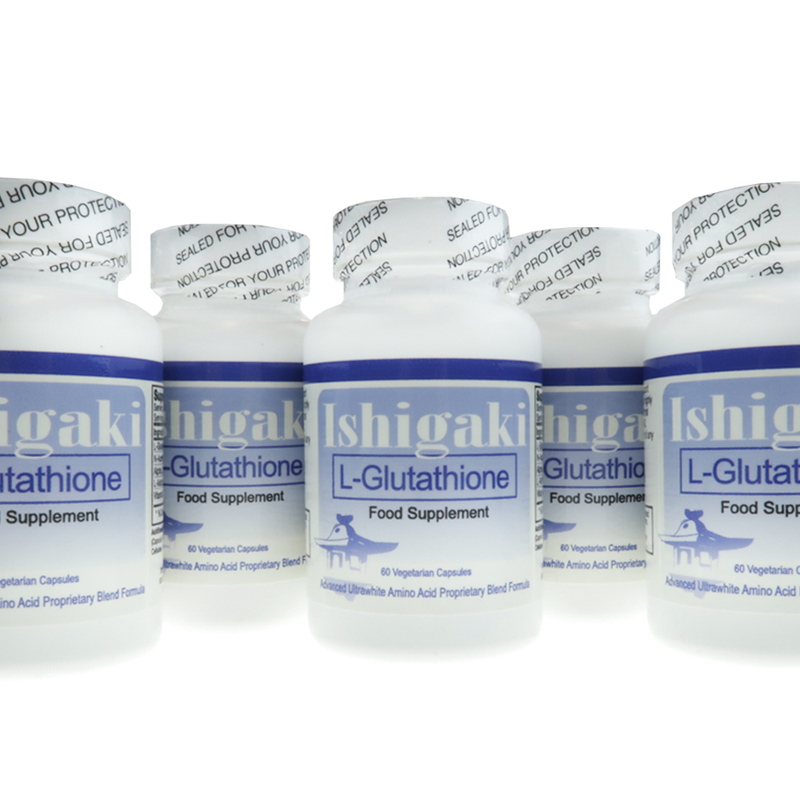 5 Bottles Authentic Ishigaki L-Glutathione 600mg Per Serving Ultra-Whitening Formula - Save Over 50%! Content: 5 Bottles 60 Capsules, take 2 Capsules daily. - Glutathione competitively inhibits melanin synthesis in the reaction of tyrosinase and L-DOPA by interrupting L-DOPA's ability to bind to tyrosinase during melanin synthesis. 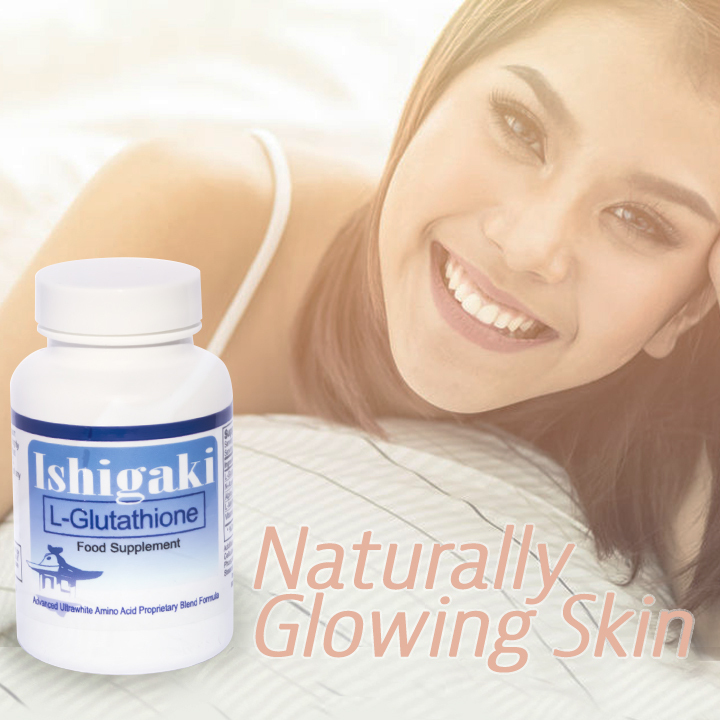 These results indicate that glutathione inhibits the synthesis and agglutination of melanin by interrupting the function of L-DOPA.